How Does G-Sync Differ From Freesync? What Does G-Sync Mean For 4K And HDR? Before we talk about G-Sync, we must know that normally, when manufacturers produce computers, whether laptops or desktops, high-end gaming is not one of the functions considered for its users. This is why they go a step further to produce computers that are solely for gamers, howbeit still performing their primary functions as a computer. If the graphics hardware of an ordinary computer is being pushed to its limit, the end product will not be as optimal as is should be. In this article, we are going to explore a few best G-Sync Monitor 2019 series in details. G-Sync is an adaptive synchronized hardware technology that exploits the display panel’s Vertical Blanking interval (VBLANK) of a device. VBLANK is the time frame with which a display unit completes a frame and when and when it starts a current one. During this time frame, screen refresh data is not being sent to the monitor. G-Sync makes the graphics card makes sure that the monitor is ready to receive new frames before sending them. This way, the display is kept I sync. G-Sync was introduced and developed by NVIDIA. Its primary function is to stop or reduce to the barest minimum, the effects of tearing and stuttering while displaying video or graphics contents on a screen. It also eliminates the need for graphics software for a display unit. G-Sync eliminates stuttering or tearing by making the display content adapt to the frame rate of the output device instead of the output device adapting to the frame rate of the display content. The later will cause two or more frames to be displayed at once and this will cause serious screen tearing. For a device to run on G-Sync, it must first have installed a G-Sync module produced by NVIDIA. G-Sync’s main rival is the FreeSync by AMD. Both G-Sync and FreeSync pretty much perform the same functions. Without G-Sync technology, it will be difficult to play games on the highly rated 60 frames per second monitor without stuttering. Some might be able to withstand this, but I’m very sure that high end, or professional gamers will find this very disconcerting. G-Sync also helps to reduce the input lag/latency of your monitor. It deals with it effortlessly so much so that you do not notice as manufacturers don’t even advertise their input lag level in product descriptions. The Alienware AW2518H makes our top pick for the best G-Sync gaming monitor of 2019. It boasts of a TN panel which means that has a good response time, good refresh rates and good brightness levels. This 25-inch screen monitor has wide color gamut with flexible viewing angles. It also has 1ms response timing and 240Hz refresh rate frequency. All that can give you the ultimate gaming experience without you missing a thing. When using the NVIDIA G-Sync technology for a display monitor, we like to check for its ability to make the graphic card wait until a monitor has finished displaying a frame until it sends another one to it. This is the best of eliminating screen tearing and stuttering when displaying videos and graphics. So far the G-Sync enabled monitor is able to establish this, them we are good to go. 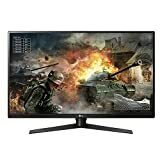 Choosing your best G-Sync monitor can be quite demanding especially when a lot of manufacturers are trying to woo you. There are a lot of things to consider like the price you are willing to splash, the screen size of your monitor and other technical specifications we will see later. Having explained what G-Sync is, the technology behind it, its functions, why you need it, and its importance to any gamer, I now want to introduce you to my best G-Sync monitors of 2018. 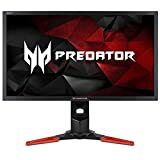 We will be looking at why it’s our top pick, its specifications, and its advantages and disadvantages as compared to other G-Sync enabled monitors. Enjoy the ride. 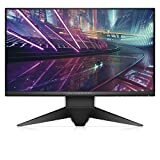 v NVIDIA G-Sync enabled 24-inch brilliant display with 2560 by 1440Quad HD screen resolution which is almost 2 times what you get from a full HD display. v You can alter the default settings of the monitor to suit your gaming expectations thereby enhancing your visual entertainment. v It has a response time of 1ms and refresh rate of 165Hz thereby reducing flickering and optimizing screen care and comfort. v It has input connectors like the DisplayPort and HDMI ports. v The device comes with a customer warranty and an Advanced Exchange Service that allows you replace your monitor in the space of just three days. It has a superb picture/colour accuracy. It has 165Hz refresh rates. Processes the motion of your game play efficiently. It comes with a Quad HD display that is way better than a normal HD. It has a fully adjustable stand. You will have to fine tune the default display settings to get the best out of it. It’s quite expensive to acquire. It has limited viewing angles. Still has a small amount of video inputs. Its contrast ratio is below per. The ULMB of the monitor reduces the light output and contrast level of the display. v It comes with a 27 inch Quad HD 1440p screen with ultra slim bezels. This is one of the best combos for screen size and resolution for gaming. 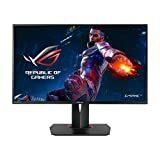 v TUV certified flicker free, ASUS Eye Care and the Blue Light Filter helps to lessen eye fatigue for gamers who spend a lot of time looking at their monitor screens. v The stand is ergonomically built to suit the user with swivel, tilt, height and pivot adjustments. You can also hang this one to the wall for more a comfortable audience. v Has a refresh rate of 165Hz for better gaming graphics and displays. v Comes with an IPS display with full sRGB colour gamut for pure view displays in movies, games and graphic designs. v The NVIDIA G-Sync technology eliminates stuttering and tearing thereby improving your gaming experience. With a refresh rate of 165Hz, the display is very stable. Solid and beautiful body and design. Comes with an OSD joystick controller. Very easy to control and operate. It has a limited number of input options. In ULMB mode, there is a significant amount of reduction in light output. You may need to fine tune properly to get the best picture quality. Dell is a major stake holder when it comes to computer hardware and designs. With this product, it shows us why it is still a force to reckon with. The image quality is top notch and the response rate of 1ms is quite impressive. Here are some of the features we thought are worth mentioning. v With the NVIDIA G-Sync, smooth motion during gameplay is assured. v Comes with a refresh rate of 144Hz to cancel out stuttering and screen tearing. v With a response rate of 1ms, there is no time lag. The input lag of this device is so low that you won’t even notice any jeers. v 27 inch 2560 by 1440 Quad HD screen display. 3.68 million colour pixels makes it almost twice what a full HD has to offer. v The stand of this monitor can pivot, tilt and swivel around and axis. The height can also be adjusted with various viewing angles. v Has connectivity inputs of HDMI 1.4, DisplayPort 1.2, and 4 USB 3.0 ports which makes it compatible with other devices. Professional gamers will enjoy the 2560 by 1440, 144Hz refresh rate and 1ms response time. It has stable image quality as screen tearing and stuttering has been eliminated. NVIDIA G-Sync make the visuals all the better. Despite its features, with the same price, some of its competitors have the better picture quality to offer. You might need to really adjust its viewing angle to get the best out of the screen resolutions. Does not come with in-built speakers. 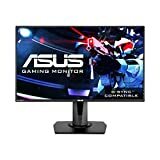 This gaming monitor does not have pre-set screen modes for gaming or videos. v With a huge 34 inch 1440p IPS panel with 100Hz refresh rate, the display has good resolution, colour and smoothness. v With an aspect ratio of 21:9, the image stretches to every corner of the screen leaving you in awe. v The Asus Eye Care technology reduces blue light and stops flickering. v It comes with a 5-way joystick for better control, making you explore the Asus Game plus. v On this product, Asus offers a 3-year warranty with free shipping to your doorstep. It has good colour, contrast, and clarity levels. It has a refresh rate of 100Hz. Beautiful design with flexible and adjustable stand. The default contrast setting will need to be adjusted. Kind of heavy and bulky. Somewhat difficult to operate and set up. v It comes with a 27-inch Widescreen QHD 2560 by 1440 display resolution which produces 4 times more what a normal HD displays. v With a response time of 1ms, refresh rate of 165Hz, and NVIDIA G-Sync, this ROG product makes sure stuttering and screen tearing is eliminated. v Compatible connection inputs like with the DisplayPort 1.2, HDMI 1.4 and USB 3.0 ports. v Asus Eye Care technology helps to prevent the eyes from ailments and fatigue which may arise from excessive exposure to the screen. v The stand is solidly built, flexible, and adjustable. Due to its WQHD, it has an excellent image quality and display. Very fast refresh rate and response time. Superb build quality with elegant design. Features only one input at a time. v 27-inch IPS Widescreen Quad HD 2560 by 1440 with NVIDIA G-Sync technology makes sure that your video and graphic display is crisp type. v It has a refresh rate of 144Hz that over clocks to 165Hz and a response time of 1ms. v It comes with input options of 1 DisplayPort and 1 HDMI port, 2 USB 3.0 ports. v Eye Care support protects the eye from fatigue that comes as a result of too much exposure to the screen. It has good image quality especially with the NVIDIA G-Sync technology which eliminates stuttering and screen tearing. The response rate of 165Hz and IPS panel make it a perfect pick for gamers. It has a beautiful and stylish, yet solid design that is eye catching. You can get a variety of viewing angles with its widescreen abilities. With a low contrast ratio, black colours will look like grey in a dark environment. 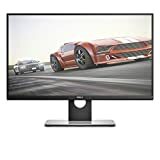 This gaming monitor does not support HDR functions. The speaker sound is not really surround. It has only two video inputs. v It comes with an impressive 34 inch 3440 by 1440 Quad HD screen. The IPS display screen with NVIDIA G-Sync technology makes the wide screen more efficient. v Comes with a refresh rate of 100Hz that can be over clocked to 120Hz and a response time 4ms. v The Acer VisionCare technology helps to prevent the eyes from fatigue when exposed excessively to the screen. v It comes with input functions of 4 USB 3.0 ports, 1 DisplayPort 1.2 and 1 HDMI 1.4 port. v Accessories like the HDMI, USB and DisplayPort cables are also available. It has a high contrast ratio that balances brightness and colour. Has a refresh rate of 100Hz and 3440 by 1440 screen resolution, with ultra-low input lag. You might not need an extern audio set as the audio quality is very good. Wide screen QHD display with a curved panel provides good game immersion. Comes with a stylish and elegant design and build. It has only two input functions. For of its bulky frame, it consumes a lot of desk space in your workstation. For its immense size and shape, the IPS glow might present a problem to the gamer. v Comes with a huge 35 inch QHD curved 1800R ultra wide screen and 3440 by 1440 resolution and 21:9 aspect ratio. v It has a refresh rate of 100Hz and a speedy response time of 4ms. v It comes with a double 9W surround speakers. v Compatible inputs of DisplayPort, HDMI and USB for better adaptation to devices. Ginormous, elegant and sleek design. Strong stand with VESA mount. You can store your custom settings on 3 dedicated profiles. It comes with 4 USB 3.0 ports. The contrast ratio of this G-Sync monitor is excellent. This device is very expensive. Power and input plugs are quite challenging to install. Despite the double 9W speakers, the sound isn’t really surround. On extreme overdrive settings, you begin to observe ghosting. v This monitor has a curved 34 inch HD IPS ultra wide screen with 21:9 aspect ratio. v Compatible with the NVIDIA G-Sync technology. v It has a refresh rate of 144Hz and a wonderful response time of 5ms. v Features an advanced gaming technology referred to as “cross hairs”. v You can split the screen during gameplay with dynamic action sync and on-screen controls. Curved ultra-wide screen display with 34 inch IPS panel. Nice grey scale with viewing angle optimization. Very fast refresh rates and response time. Elegantly built with solid design. Has only a one-year warranty for customers. You might not be able to carry out some advanced gaming adjustments with this one. Offers low pixels per inch of display. Apart from gaming, might not be able to serve other purposes effectively. v 25 inch full HD 1920 by 1080 screen with customized LED light effects. v Whooping 240Hz refresh rate and 1ms response time. v Comes with DisplayPort, HDMI and 2 USB 3.0 port inputs. v It also has the ASUS customized GamePlus hot key for in-game enhancements and Game-Visuals for enhanced gaming visuals. v It is NVIDIA G-Sync enabled, therefore, stuttering and screen tearing is already eliminated. v The ASUS EyeCare technology protects the eyes from ailment when exposed to the screen for long periods of time. v The stand is firm, yet flexible, so it can be adjusted to suit the needs of the user. It has very good overall image quality with a low input lag. Very stylish, firm and yet, adjustable stand. Very attractive build and design. Has a response rate that alters between 144Hz and 240Hz deepening on the task to which it has to perform. It comes with a TN panel which makes the viewing angles quite limited. Has only 1080p for all its elegance. The connectivity to other devices is suspect too. v TV wall mount bracket with full motion. v Anti-glare and privacy filters. v Monitor arm and stands. v Height adjustable standing desks. v Desktop monitor shelf rack. v Heavy duty steel swivel. v Sit to stand monitor riser. All of these features will go a long way to improve the performance of your 4K gaming monitor and make sure it serves you for a very long time. v It has a 27 inch 1440p Quad HD screen with an aspect ratio of 16:9.
v The refresh rate is 165Hz, response time is 1ms and since it is not too bulky, will not eat a lot of desk space. v In the review I made above, it seems not to have a lot of cons as compared to other ones. Screen tearing is an effect caused when the video graphic card sends output to the monitor at the rate it cannot handle. This causes a thin broken line when video is displayed. G-Sync resolves this by delaying the next video frame until the monitor has finished displaying the current one. V-Sync makes your graphic card improve the display on your monitor, but G-Sync does a lot further. G-Sync makes the graphic card adapt to the refresh rate of the video or graphic it is to display since monitors already have a pre-set refresh rate which might not tally with that of the video. G-Sync is also very intelligent. It anticipates what the next frame rate will be and sends appropriate signals to the graphic card. The both of them perform about the same functions using the “adaptive sync” technology but when your graphic card has to render videos at lower frame rates, G-Sync adjust itself to tackle this independently, but FreeSync reverts back to the V-Sync technology which is like coming back to square one. Another difference is that while FreeSync is cheaper and you have to just use the DisplayPort of the gaming monitor to harness its functions, NVIDIA’s G-Sync has a chip which you must put inside your monitor or laptop to explore its features. Having G-Sync installed into your monitor does not limit its ability to just resolving stuttering and screen tearing issues. 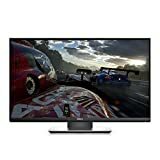 It generally improves the colour and display content of 4K and HDR game visuals. They are highly recommended for HDR gaming consoles like PS4 Pro and Xbox One S.
Yes, it is definitely worth it, especially if you are a pro gamer who wants to overcome screen tearing issues and want better and improved in-game visuals. The NVIDIA’s G-Sync is really worth considering. 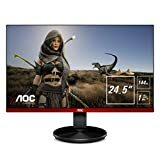 Well, I guess you are the only person who knows what you really expect from your G-Sync gaming monitor, given the fact that from the reviews made here, they all seem to be quite expensive. So how about you get the best out of the amount you are about to spend, trusting that you will make an informed decision. Don’t allow manufactures deceive you into buying something you don’t need. So you have to first consider what you want and then make a budget towards it. 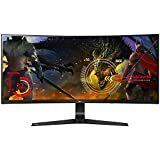 The ultimate guide to buying a good G-Sync monitor depends on refresh rate, frames-per-seconds, screen tearing and stuttering elimination, input lag, motion blur, screen size, TN or IPS panel and pixel resolution of the monitor. If you can get this right in the appropriate proportions, then you are sure to get the best out of your gaming experience. It is on this note that we conclude our review on the best G-Sync monitor 2018. I hope that this post will guide you when making a purchase as there are a lot of products in the market and manufacturers tend to exploit some customers into buying what they don’t really need. Go out there and get your money’s worth as you purchase a G-Sync monitor so that your gaming experience can be supercharged.